The Negros Occidental provincial government is accepting applications for a scholarship program providing study and work opportunities in Japan. 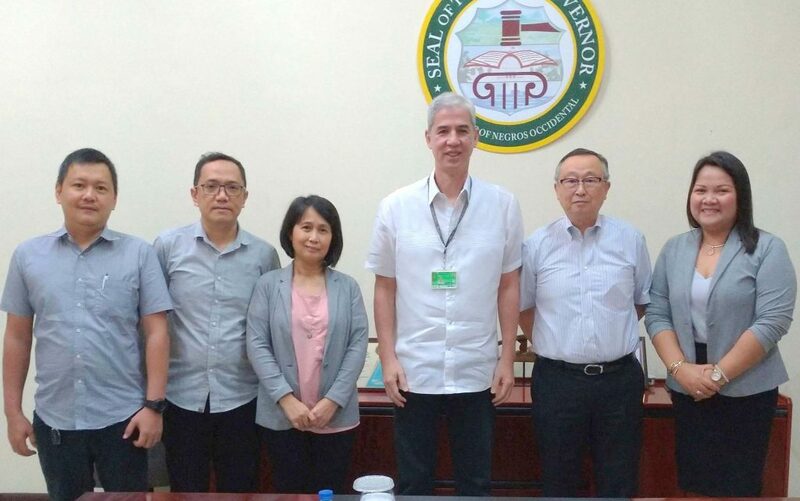 Negros Occidental Vice Governor Eugenio Jose Lacson recently met with Japanese coordinator Fumio Mizuno to discuss scholarship agreements. There are 12 spot available for the program which begins in March 2020. Qualified applicants must be between the ages of 18 and 26, a college graduate or undergraduate, and must take a three-month Japanese language training course at the Organization for Industrial, Spiritual, and Cultural Advancement Training Center in Barangay Tabunan, Bago City. (From left) Executive Assistant Yoji Watanabe, Executive Assistant Jonathan Lobaton, Negros Occidental Scholarship Program Division head Karen Dinsay, Negros Occidental Vice Governor Eugenio Jose Lacson, Japanese coordinator Fumio Mizuno, and Community Affairs Officer April Duran at the Vice Governor’s Office yesterday. Lacson met with Mizuno to discuss agreements pertaining to the provincial scholarship program providing study and work opportunities in Japan.